MTN Nigeria is doing more to enrich lives with the introduction of this new tariff plan that offers her customers 500% bonus on all their recharges for good 6 months. This MTN StartPack is a special tariff plan that offers new MTN customers special benefits and several exciting offers for activating a new MTN SIM card. The full features of the MTN StartPack can be found below. You will get 500% bonus on every recharge of 100 NGN and above. Free 10MB data on every recharge of NGN 200 and above. 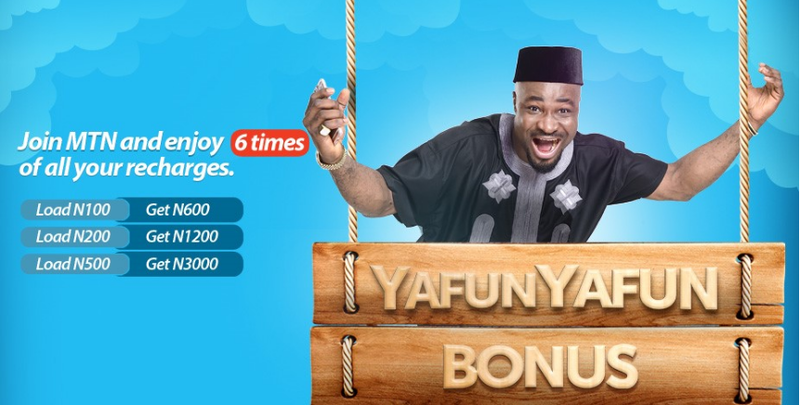 The airtime bonus can be used to make calls to all local networks in Nigeria and can also be used as PAY-AS-YOU-GO data. You will receive the free 10MB every time you recharge N200 airtime or more. After the 6 months, you will be automatically migrated to the MTN Beta talk tariff plan. To migrate to the MTN Start Pack tariff plan, simply buy and activate a new MTN sim card and you will be automatically registered on the tariff plan. NB: You won't be able to return to the MTN Start Pack if you decide to migrate to another MTN tariff plan within the first 6 months of migration. My Opinion: This tariff plan is a very good one apart from the fact that the call rate of N40/Min is too much to welcome new customers. It is just like giving bonus to customers and creating an avenue to use it up at a faster rate.